Oh, one of my friends, who is a volunteer coordinator went and did it. He offered to “help out” with an event. You know how this goes. Someone from a department calls you and asks for help with something and before the words dry on your lips, you’re in charge. Is there a secret birthmark on our foreheads that magically appears once we become volunteer managers? Does it say “ask me, I’ll do anything” and is it visible only to everyone else? It must be, because we are all viewed as gophers, dumping grounds, catch-alls, happy to please everyone minions. 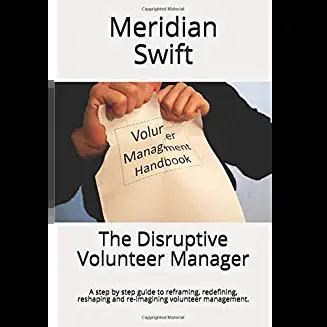 Maybe the word “manager” in our title is wiped clean by the word “volunteer”. Or maybe everyone thinks we are so accomplished and brilliant and capable that they freely want us to be in charge. Ok, I lost my mind for a moment. When he told me this, I have to admit, I laughed and said, “what were you thinking?” He shook his head and agreed. We’ve both been down this road more times than a Dunkin Donuts coffee run in the morning. Eventually, it got straightened out, but not until after much extra work on his part. Sometimes it doesn’t even matter how clear we are with other staff members. They will try and dump their responsibilities on us especially if they feel stretched or stressed. 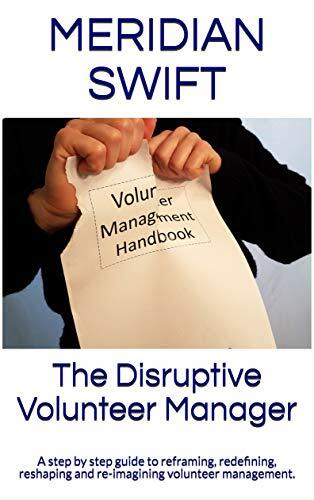 I know a volunteer coordinator who is continually letting others dictate her job. She is miserable and no wonder. She has no time to cultivate volunteers, to creatively grow her program and to actually enjoy her job. Her day consists of cleaning up after everyone. I know I couldn’t do that for long and not end up on the front page of the newspaper for having gone nuts and torching the lobby. We have to be our own best friends and allies. While our jobs speak of the possibilities and wonderful work volunteers can do for our organizations, I don’t think it also includes all the “pack mule” stuff our fellow staff expect of us. While we continually use the phrases, “I’ve got the perfect volunteer for that job” and “I think we can help you out with that”, we also need to never be afraid to say “No, that’s not part of my job.” If we don’t, we will all end up torching the lobby!